Photo courtesy of Craft Bearing Co. 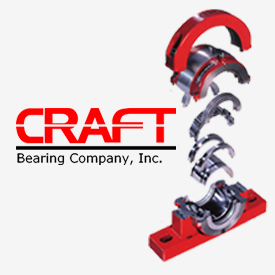 Craft Bearing Co. was founded with one goal in mind – to become a world class supplier of split cylindrical roller bearings. After years of intensive research and development and continual testing, our engineers have done just that. 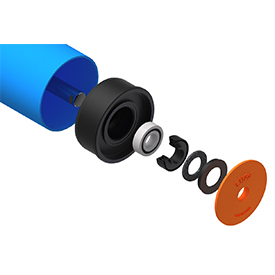 We are now the global industry standard for split bearings whenever an extremely reliable and easily replaceable bearing is a must. 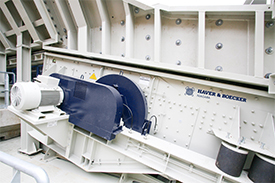 In mining operations to paper mills, from the marine to the steel industry, the innovative Craft Split roller bearing is transforming would-be catastrophic failures into run-of-the-mill maintenance. 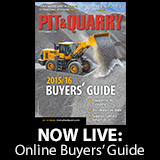 Made in the U.S.A. at our Newport News, Virginia facility.